The Congress on Monday said Gujarat Assembly elections results are morale booster for the party. NEW DELHI: The Congress on Monday said Gujarat Assembly elections results are morale booster for the party. Speaking at a press conference here, Congress leader Ashok Gehlot said the Congress’ performance in Gujarat was commendable as it was a win for party president Rahul Gandhi’s issue based campaign. “Whatever the results are, it was a morale booster for Congress. Our performance in Gujarat polls was a triumph as it was a win for Rahul Gandhi’s issue based campaign. Congress under the leadership of party president Rahul Gandhi ran a very good campaign in Gujarat and his campaigns reminded us of Indira Gandhi,” he added. 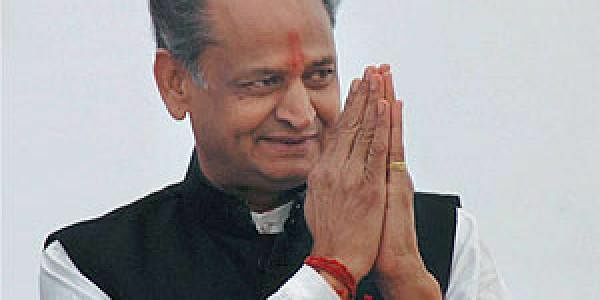 Gehlot further said the Bharatiya Janata Party (BJP), in the home state of Prime Minister Narendra Modi and Amit Shah, is struggling to cross even 100 seat mark. “The issues raised by Rahul Gandhi were commendable as the BJP could not answer any of them. The Congress talked about the condition of farmers, employment opportunities to the youth, inflation, education, medical and services, but no befitting reply came from the BJP party,” He asserted. Meanwhile, Congress spokesperson Randeep Surjewala said the Congress and its allies claimed 84 seats as both the Nationalist Congress Party (NCP) and two independents supported the grand-old party. “Two Independents who won, supported Congress and so does the NCP. Therefore, the Congress+ tally right now is 84 and BJP is 98-99,” Surjewala added. As BJP inched closer to victory both in Gujarat and Himachal Pradesh assembly elections, Prime Minister Narendra Modi assured that his party will work tirelessly for the development of the two states. "Election results in Gujarat and Himachal Pradesh indicate a strong support for politics of good governance and development. I salute the hardworking BJP Karyakartas in these states for their hardwork which has led to these impressive victories," tweeted Prime Minister Modi. At the time of reporting, the BJP has won 80 seats, while the Congress has won 73 in Gujarat. In Himachal Pradesh, the BJP has won 27 seats, while the Congress has won 15. The BJP workers have started celebrating all over the nation as the trends indicate party's victory in both the states. The counting of votes for 68 Assembly seats in Himachal Pradesh and 182 constituencies in Gujarat began at 8 am today.